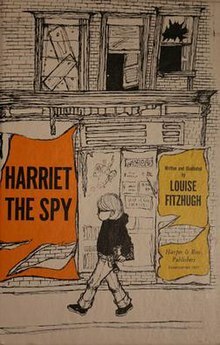 Harriet the Spy is a children's novel written and illustrated by Louise Fitzhugh that was published in 1964. It has been called "a milestone in children's literature" and a "classic". In the U.S. it ranked number 12 book for kids and number 17 all-time children's novel on two lists generated in 2012.